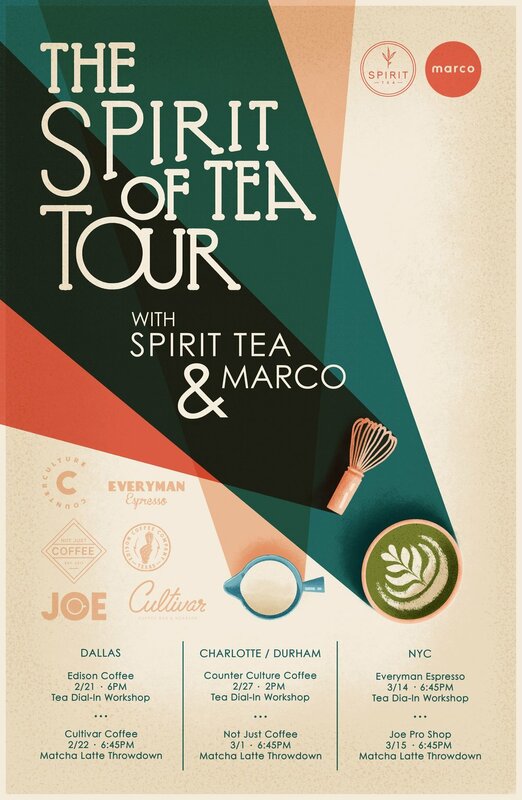 The Spirit of Tea Tour rolls on! After four successful stops in the west, the roving Matcha Latte Throwdown and Tea Education series heads east with stops in Dallas, North Carolina and New York City. Through our workshops we hope to share and celebrate our love of tea and its many tastes, providing the practical knowledge and skills for tea that is presented with the same expertise, passion and care as your coffee. There is no cost for this event and, while it is intended for baristas and cafe owners, it is open to the general public. What is the Matcha Latte Throwdown? A Throwdown, for the uninitiated, is a bracket-style afterhours competition between baristas with one goal: to pour better latte art than your competitor. They are often jovial in nature and function as a celebration of industry camaraderie. Normally, this is done with espresso and milk—for the purposes of our Matcha Latte Throwdown, it will be done with matcha and milk. What is the format of the Dial-In Workshop? There is a brief lesson on seasonal tea and the chemistry of the tea leaf followed by a dial-in exercise, where baristas will apply their newfound knowledge to unlocking tastes from a cup of tea. This will be followed by a tasting of seasonal teas and an open discussion of workflow. What topics specifically will be covered in the Workshop?